Right between Heaven and Hell, is the most beautiful thing–the World. And between round and square, there is a polygon. 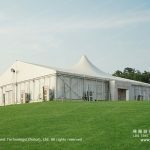 High peak polygon multi-side marquee tent from Liri, with elegant design, will make your event look nicer. 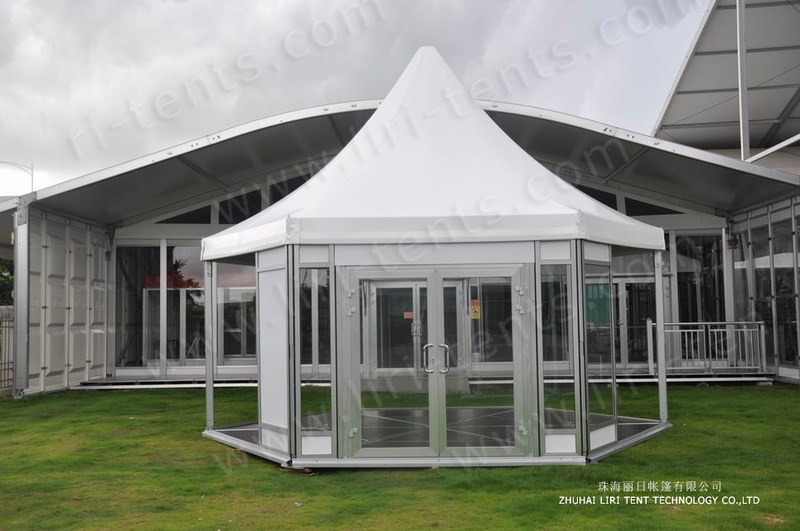 Multi-sides high peak polygon tent for multifunction. 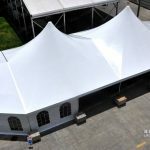 The high peak polygon can be widely used as wedding tent, event tent, party tent, festival tent, racing tent, sports tent, outdoor exhibition tent, trade show tent, warehouse tent, storage tent, outdoor activity marquee tent, and tent hire business, event design business, military solution, temporary warehouse, and workshop etc. 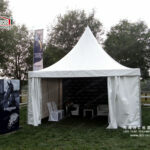 In addition to the unique design of the high peak polygon tent, we also provide various accessories for different situations. 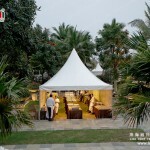 For example, the clear glass wall, double wing glass door, high-class cassette floor. For more details, please check the below info. 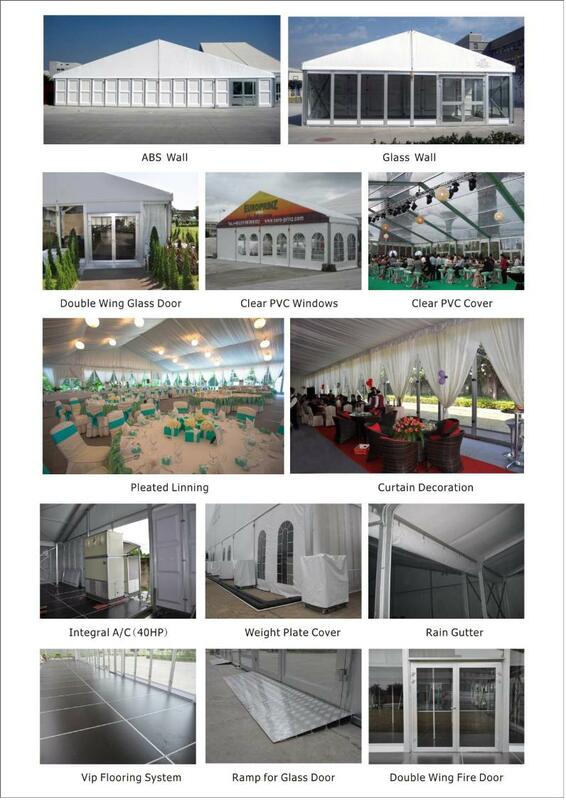 And when we get a tent to use for a wedding or party, we will not just use it once, especially if it is for the rental business. So quality matters. 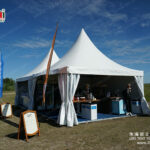 And our high peak polygon tent, we use only the best materials. 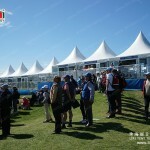 Frame struts: hard pressed extruded aluminum 6061 /T6(15HW) which can last 15 to 25 years. If there are any questions, feel free to leave us your message and we assure that any of your inquiry will get our prompt attention.